When I learned more about the planets and other objects of the sky, my desire to buy a sophisticated telescope became intense. After all, I wanted to have a more majestic view of these planets and other objects in the sky! Once, during my visit to a departmental store, I came across some small telescopes. The boxes of these telescopes were displayed with nice pictures of galaxies and planets. These pictures were so impressive that I took them at face value and I bought one telescope at $16 assuming that I would have a nicer view of the sky objects! No need to say that I was utterly disappointed at my purchase made in a great hurry! Essentially, the department store telescopes are refractors, and they suffer from an effect known as ‘chromatic aberration’ (in a layman’s language called distortion or color deviation). Department store telescopes are available in the market at a price tag of around $15-$20. Moreover, such telescopes don’t have a proper telescopic mount; instead, they are provided with a plastic camera tripod. Other than this, the eyepieces provided in these telescopes are so small that they cannot offer a finer view of even our moon. But why eyepieces are so important? We will certainly discuss eyepieces in the subsequent part of this blog. In short, the fact remains that department store telescopes cannot provide you real joy of viewing the celestial objects that you now aspire as an amateur astronomer! If some of you have passed through similar experience then don’t get disheartened; I am going to share with you some of the important parameters that will help you buy the most appropriate telescope for viewing a variety of objects in the sky. There is no doubt that the affordability aspect cannot be ignored; however, simplicity and portability are other crucial parameters that will go hand in hand while making a proper selection of the telescope. The point is that it should be light in weight and simple in its setup. By simplicity, we mean that telescope should be ready to use out of the box without involving a cumbersome setup – which as an amateur astronomer you will always scorn at! At an entry level telescope, you might be interested in a lightweight and portable telescope that can be stored and carried along with ease. It could be a table-top design with a minimum 3″ (76 mm reflector optical tube) to make it a basic telescope. The cost of any telescope depends on its features described as aperture, resolution, magnification and focal ratio. For your benefit, I will attempt to simplify these terms so that you can decide yourself what precisely you need! This is the most important parameter of a telescope. Aperture denotes the diameter of the lens of the telescope. The larger the aperture, the brighter is the image of an object under observation. Do you know that the telescope collects light in proportion to the square of the aperture? This means that a telescope with a 6″ aperture will collect four times as much light as a telescope with a 3″ aperture. It is obvious that the cost of the telescope increases with its aperture size. Most experts agree that the baseline aperture for good viewing must be at least 3″. By the way, what is the aperture of a human eye? A healthy human eye has an aperture of around 7 mm. This means a modest telescope with a 76 mm (3″) aperture will have (76/7)2 or over 120 times the light-collecting ability of the human eye. Often, you are more interested in the finer details of an object. For example, how mountains are spread on the moon or how many rings are there around the Saturn. In short, you need high-resolution telescope when you are interested in the details of an object, and it is important to note that the resolution of a telescope increases with its aperture. Unfortunately, for all practical purposes, the Earth’s atmosphere restricts the resolution of any telescope to a certain degree only (1″ or higher). The thumb rule says that you can magnify the image 50x the aperture size (in inches) at the most without the image getting dim or blurred. Practically, you may get magnification maximum 20x to 30x the aperture size because the earth’s atmosphere plays its villainous role. If you are lucky, you may magnify the image up to 70x at the maximum while maintaining clarity of the image. If someone, with 3″ aperture of the telescope, lures you to buy a telescope with higher magnification such as 300x or above better ignore the claim. In reality, you will need a telescope with 6” aperture to have decent images at 300x. A higher focal ratio is suitable for the narrower field of view and higher magnification of objects. In contrast, a lower focal ratio is more suitable if you intend to see galaxies or the Milky Way, or wider views of star clusters. This means you can see a much wider view of the sky with less magnification. Our eyes, being an optical system itself, cannot focus on the image produced by the main (objective) lens of the telescope. That is why eyepieces are fitted to the telescope to create a virtual image that our eyes can see. Different eyepieces are necessary depending upon what we want to see. For example, star clusters or nebulae can be seen only with low-magnification eyepieces. Compared to this, planets appear small and need high-magnification eyepieces. What I want to suggest here is that good quality eyepieces are must for viewing different objects! In the market, you will find two kinds of eyepieces: 1.25″ eyepieces and 2″ eyepieces. A good 1.25″ eyepiece itself will cost you somewhere between $50 and $200. Always remember that all telescopes don’t work with 2″ eyepieces. They are usually low-power eyepieces suitable for wide-field views. But never assume that 1.25″ eyepieces are not suitable for wide-field views. 2″ eyepieces will obviously cost you more. It is always better to buy a good quality 1.25” eyepiece instead of buying a low-quality 2” eyepiece and feel satisfied. Even best of the telescopes need a stable, smoothly-functioning mount so that it can be targeted at the desired object with ease. Mount should not vibrate once it is set for viewing the sky. You don’t need equatorial mount unless you want to go for photography. And remember we aim to keep the cost of the entire equipment at an affordable range! Larger than 6″ aperture telescope is useful only when you are inclined to explore ‘deep-sky’ objects as you want to let more light pass through your lens. Further, big size telescope means portability and storing will be an issue for you. Often, earth’s turbulent atmosphere will prevent you to see ‘deep-sky’ objects even you are viewing from large telescopes. 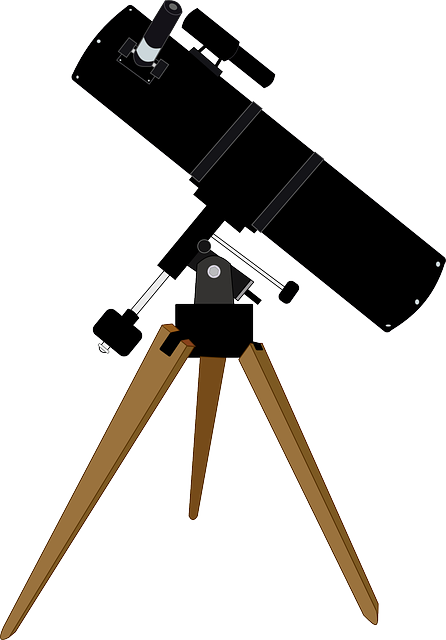 Refractor and reflectors are not the only types of telescopes. A third type of the telescope called compound telescope is in the market too. They are known so because they offer the best features of reflectors and refractors. They are compact when compared, aperture to aperture, with other types. Their tubes are hardly three times as long as their width meaning they offer easy mounting. If properly made, compound telescopes offer as clear images as reflectors. A telescope is going to be a big investment for you as your passion with astronomy may tempt you to purchase one with much unnecessary paraphernalia. For example, a telescope with a computer is not needed if you are not going for a deep search in the sky. Instead, you can invest in good eyepieces. In a nutshell, think about what you want to explore in the sky and then choose your scope! If you are ready to fork out anything around $150-$300 then you can certainly have either a 3″ or 4” aperture quality telescope along with sturdy and stable mount, and 1.25″ eyepiece fitted to it. If your budget is more, you can go for a 6″ aperture telescope and enjoy your night viewing with your family and friends.